1) Lewin, G.R., Carlos, C., Chevrette, M.G., Horn, H.A., McDonald, B.R., Stankey, R.J., Fox, B.G., & Currie, C.R. (2016) Annu. Rev. Microbiol., 70, 235–254. 2) Seipke, R.F., Kaltenpoth, M., & Hutchings, M.I. (2012) FEMS Microbiol, 36, 862–876. 3) Khan, S.T., Komaki, H., Motohashi, K., Kozone, I., Mukai, A., Takagi, M., & Shin-ya, K. (2011) Environ. Microbiol., 13, 391–403. 4) Book, A.J., Lewin, G.R., McDonald, B.R., Takasuka, T.E., Wendt-Pienkowski, E., Doering, D.T., Suh, S., Raffa, K.F., Fox, B.G., & Currie, C.R. (2016) PLoS Biol., 14, e1002475. 5) Book, A.J., Lewin, G.R., McDonald, B.R., Takasuka, T.E., Doering, D.T., Adams, A.S., Blodgett, J.A.V., Clardy, J., Raffa, K.F., Fox, B.G., & Currie, C.R. (2014) Appl. Environ. Microbiol., 80, 4692–4701. 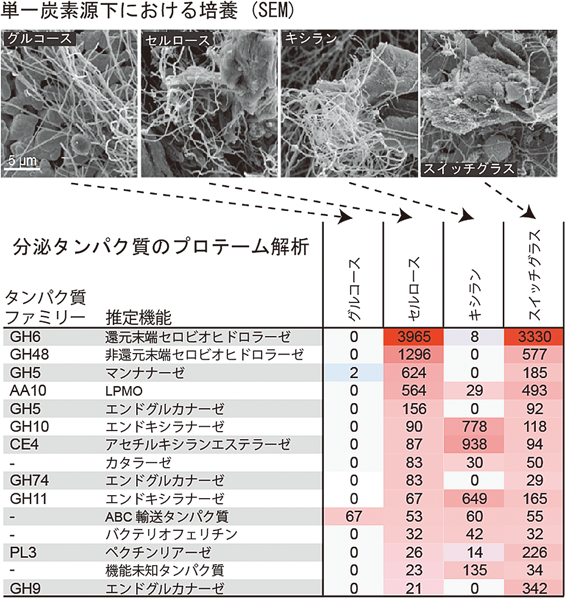 6) Marushima, K., Ohnishi, Y., & Horinouchi, S. (2009) J. Bacteriol., 191, 5930–5940. 7) Adams, A.S., Jordan, M.S., Adams, S.M., Suen, G., Goodwin, L.A., Davenport, K.W., Currie, C.R., & Raffa, K.F. (2011) ISME J., 5, 1323–1331. 8) Takasuka, T.E., Book, A.J., Lewin, G.R., Currie, C.R., & Fox, B.G. (2013) Sci. Rep., 3, 1030. 9) Biahchetti, C.M., Harmann, C.H., Takasuka, T.E., Hura, G.L., Dyer, K., & Fox, B.G. (2013) J. Biol. Chem., 288, 18574–18587. 10) Takasuka, T.E., Bianchetti, C.M., Tobimatsu, Y., Bergeman, L.F., Ralph, J., & Fox, B.G. 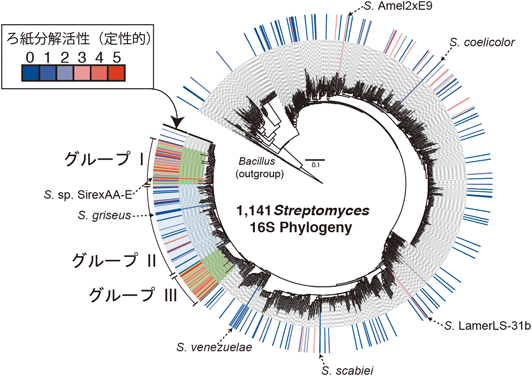 (2014) Proteins, 82, 1245–1257. 11) Takasuka, T.E., Acheson, J.F., Bianchetti, C.M., Prom, B.M., Bergeman, L.F., Book, A.J., Currie, C.R., & Fox, B.G. (2014) PLoS One, 9, e94166. 12) Book, A.J., Yennamalli, R.M., Takasuka, T.E., Currie, C.R., Phillips, G.N. Jr., & Fox, B.G. (2014) Biotechnol. Biofuels, 7, 109. 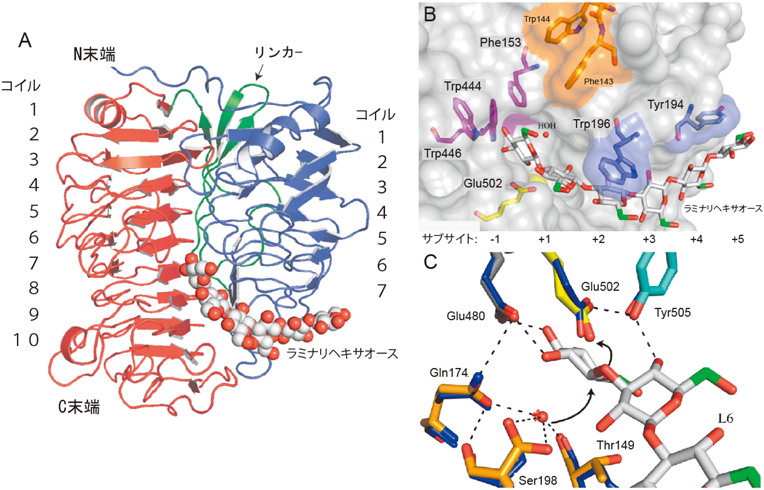 13) Ishida, T., Fushinobu, S., Kawai, R., Kitaoka, M., Igarashi, K., & Samejima, M. (2009) J. Biol. Chem., 284, 10100–10109. 14) Bianchetti, C.M., Takasuka, T.E., Deutsch, S., Udell, H.S., Yik, E.J., Bergeman, L.F., & Fox, B.G. (2015) J. Biol. Chem., 290, 11819–11832.